Edge Nails have a massive range of professional nail & beauty products, ranging from treatments & removers to professional holographic mirror powder! With all the nail files & buffers needed to give your nails that shine & perfect care. 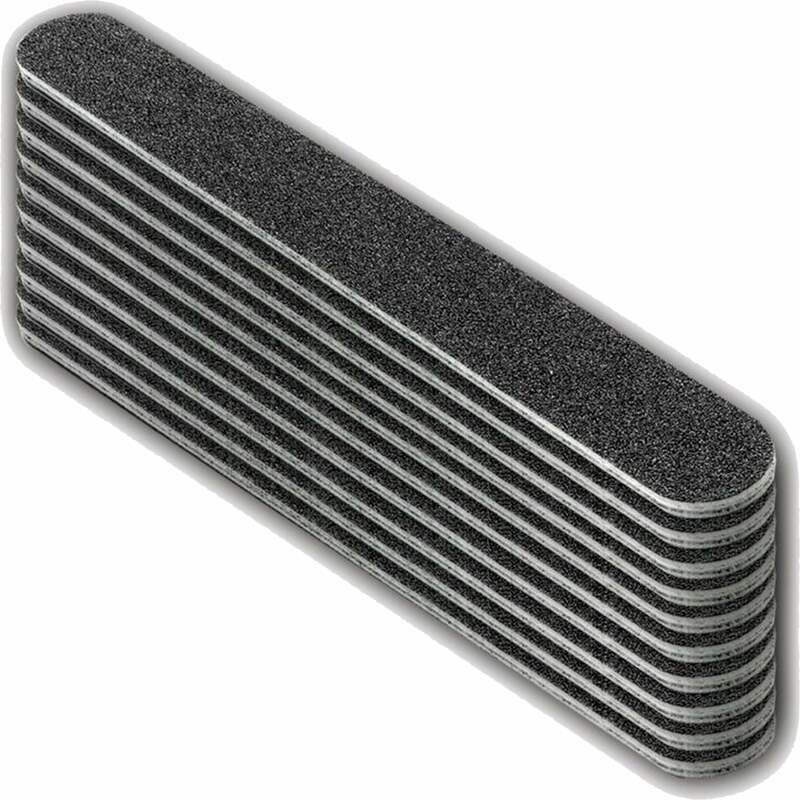 The nail file is made from silicon carbide. It is a coarse grit nail file. The black washable cushioned nail file can be used by professionals or even at home. Helps allow more control and faster refinement on the nails. The extra grit helps the person gain a better grip on the nail file. Helps smooth edges on acrylic nails & tips. Put nail file under running water and brush the grit surfaces lightly. Do not leave immersed under water for more than 10 minutes. Pat dry and allow to air dry for 24 hours before re-use. For beautiful, strong & durable nails.. The Edge Nails brand was established in the late 1990s & has continuously grown, becoming one of the UK's leading professional nail care brands. Their factory, warehouse & customer service team are all based in the UK. With an aim from the start of always providing a range of innovative professional nail care products at affordable & realistic prices to their many customers. As well as supplying an extensive range of professional nail and beauty products, Edge Nails also manufacture a wide selection of; emery boards, cushioned nail files & buffers using the highest quality abrasive materials right here in the UK - with a factory that enables them to design and manufacture nail files to your own custom specification.